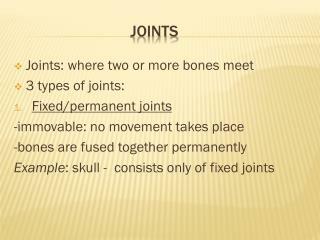 -structure(what material is found in the joint and if is there a joint cavity present). 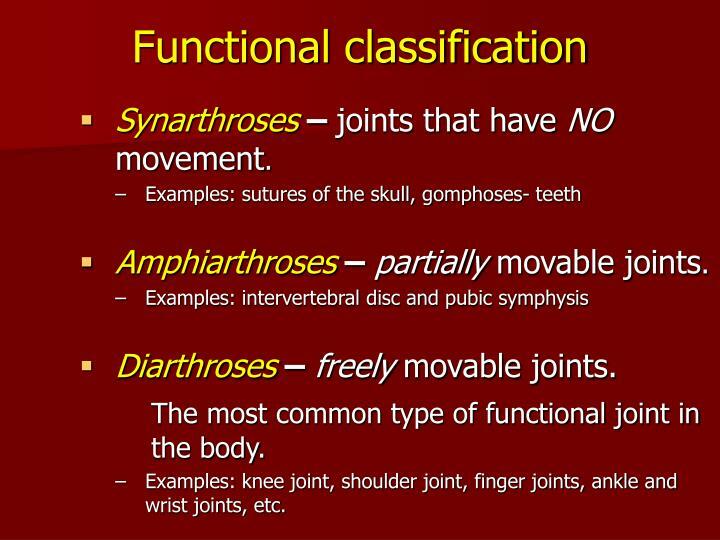 You are required to know each of these categories. 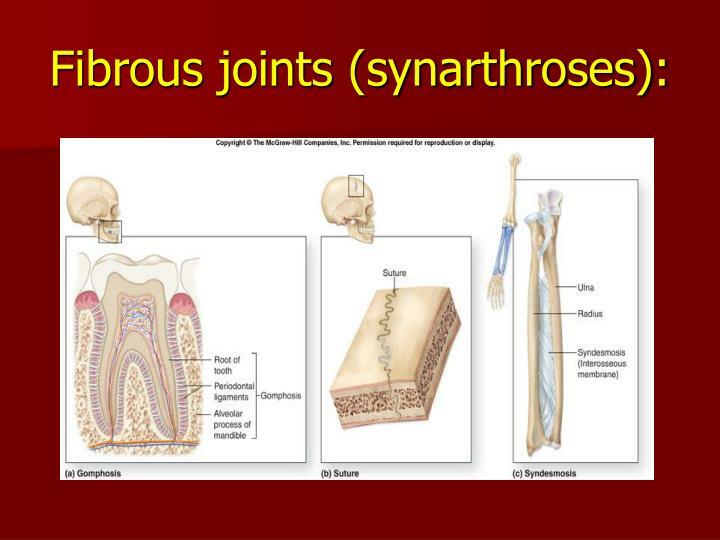 Synarthroses – joints that have NO movement. 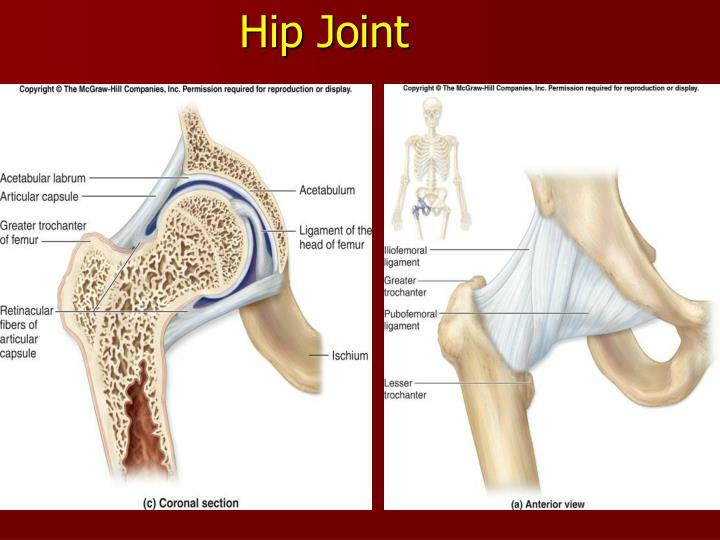 The most common type of functional joint in the body. 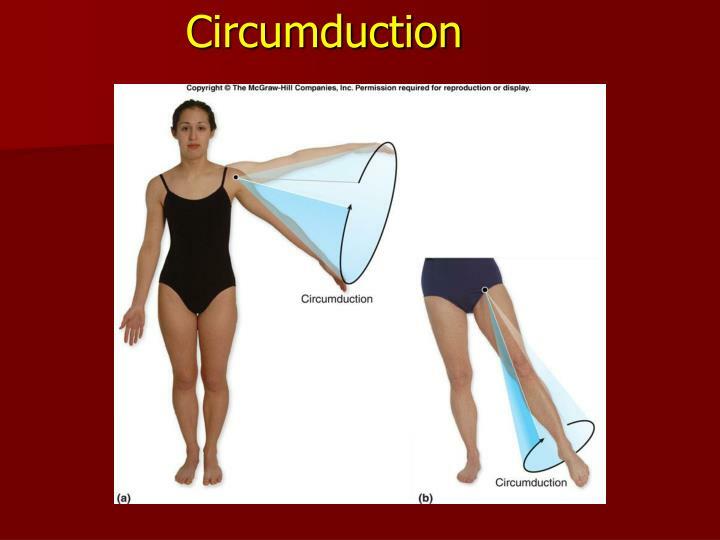 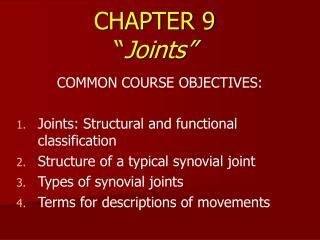 Examples: knee joint, shoulder joint, finger joints, ankle and wrist joints, etc. 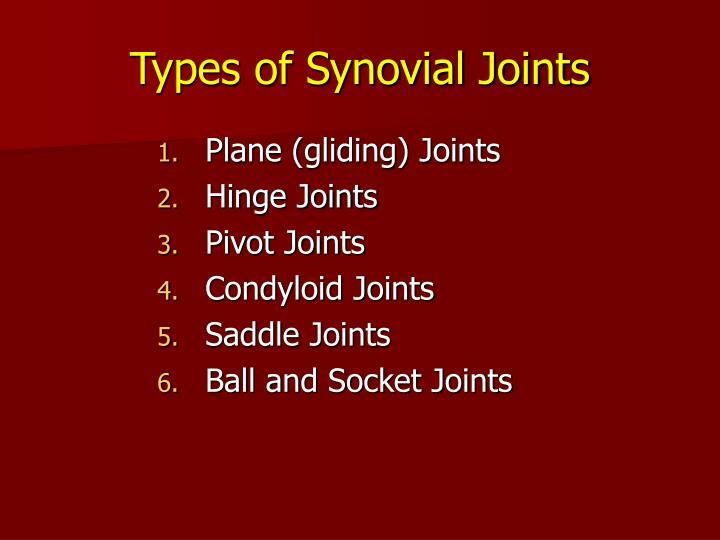 - sutures, gomphoses and syndesmoses. 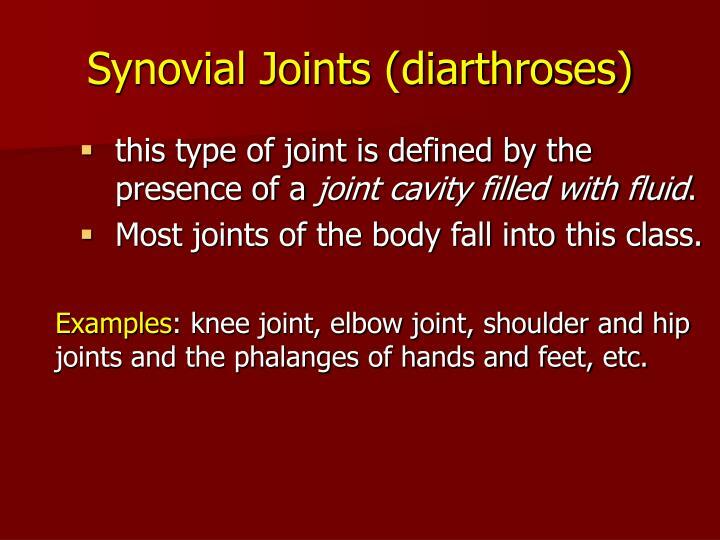 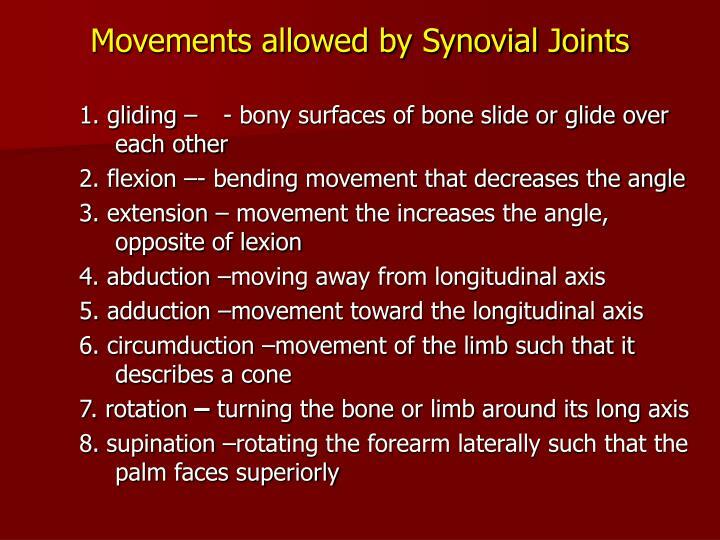 Synovial joints (Diarthroses):freely movable and most common joint in the body. 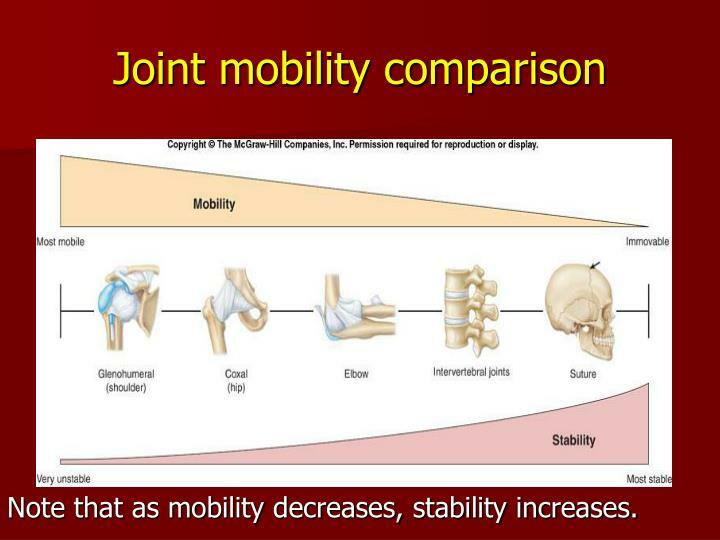 Note that as mobility decreases, stability increases. 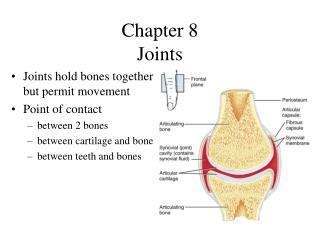 this type of joint is defined by the presence of a joint cavity filled with fluid. 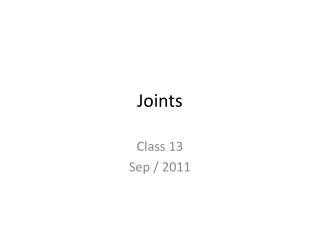 Most joints of the body fall into this class. 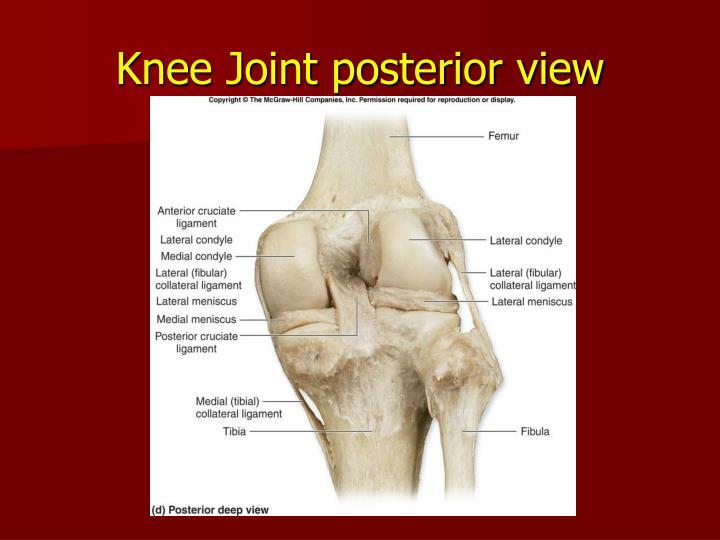 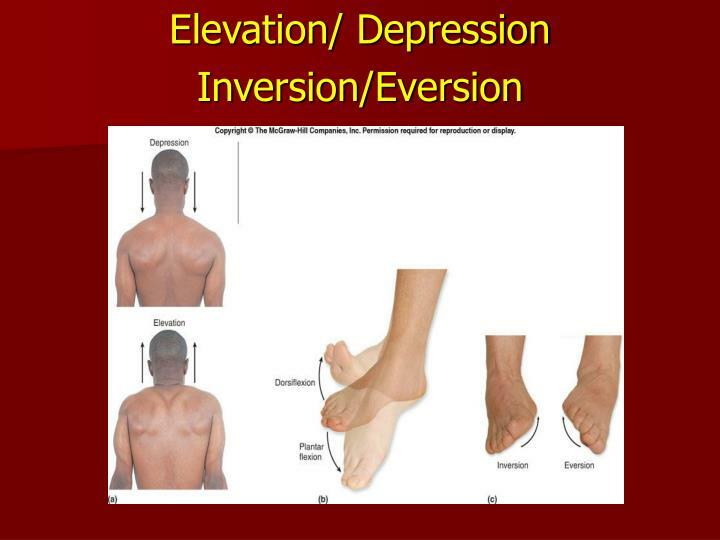 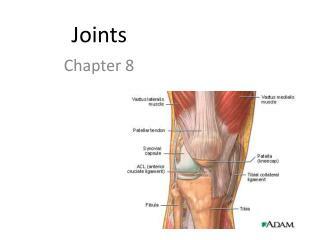 Examples: knee joint, elbow joint, shoulder and hip joints and the phalanges of hands and feet, etc. 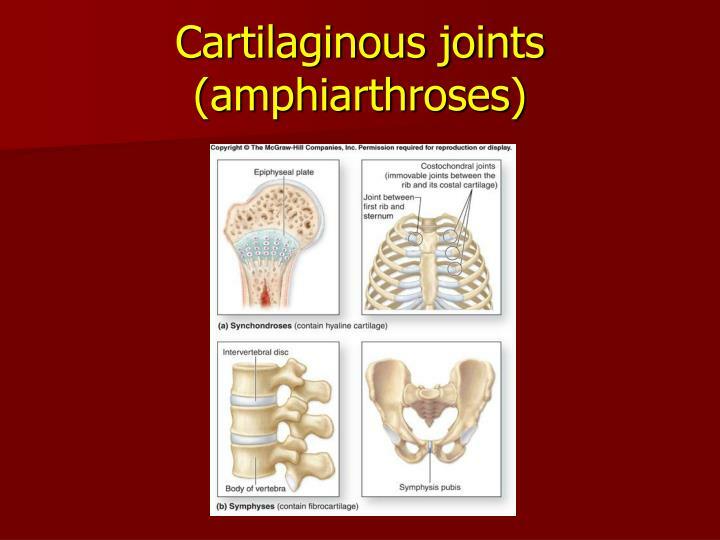 Consists of dense regular connective tissue. 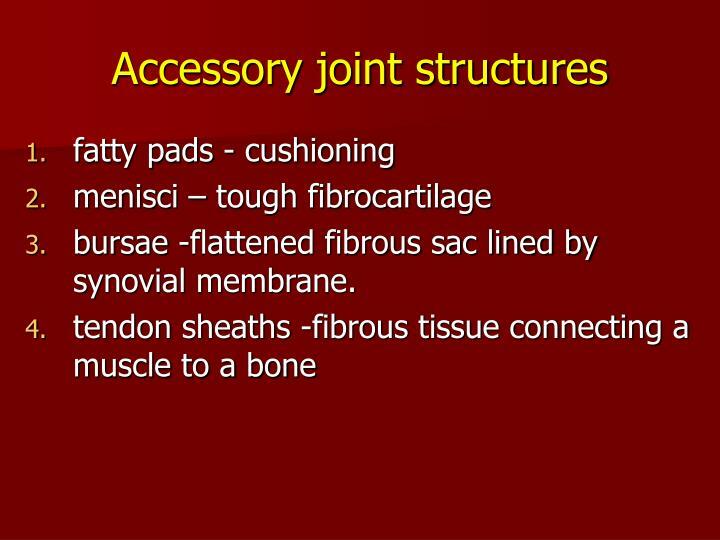 bursae -flattened fibrous sac lined by synovial membrane. 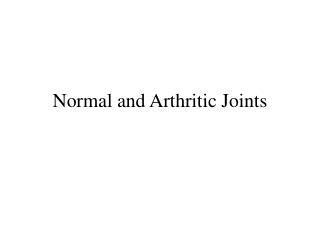 Normal and Arthritic Joints -. 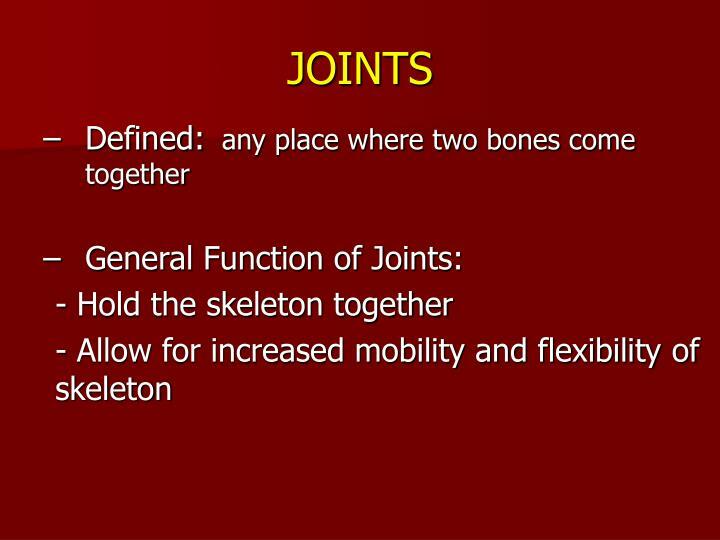 normal joints. 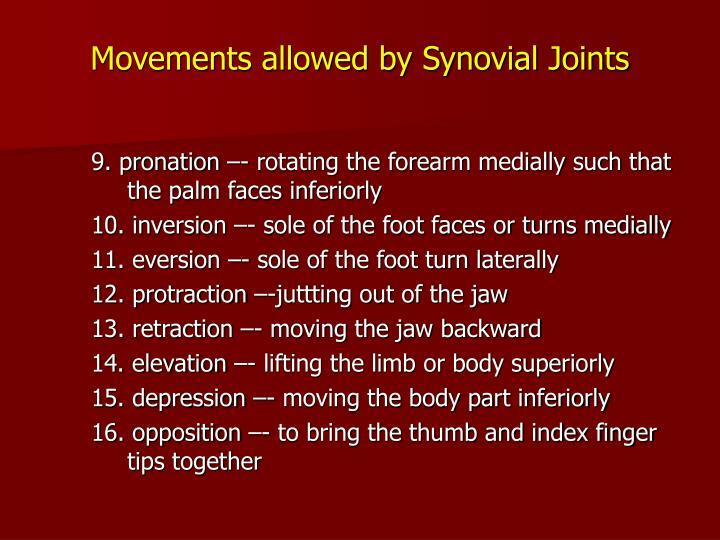 go to http://www.shockfamily.net/skeleton/joints.html and observe the different shockwave movies that illustrate how the different joints move. 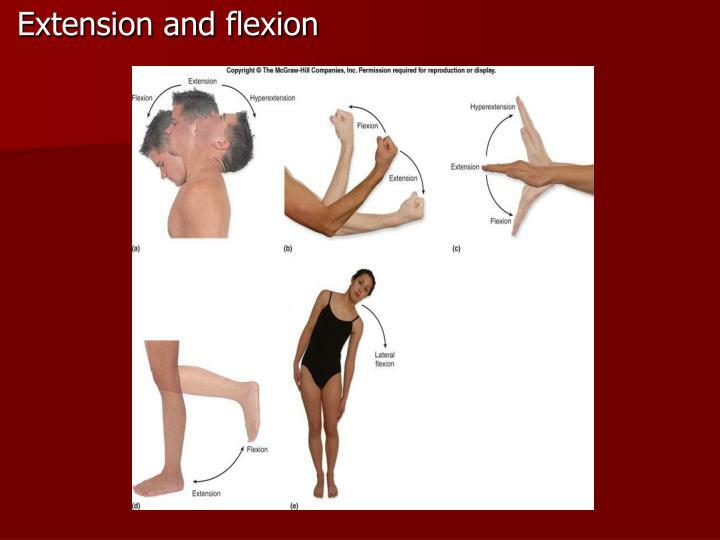 note that not all of the examples have animations. 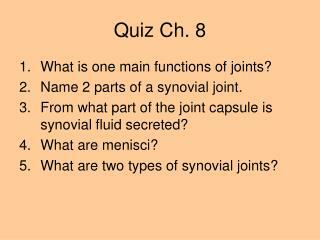 Quiz Ch. 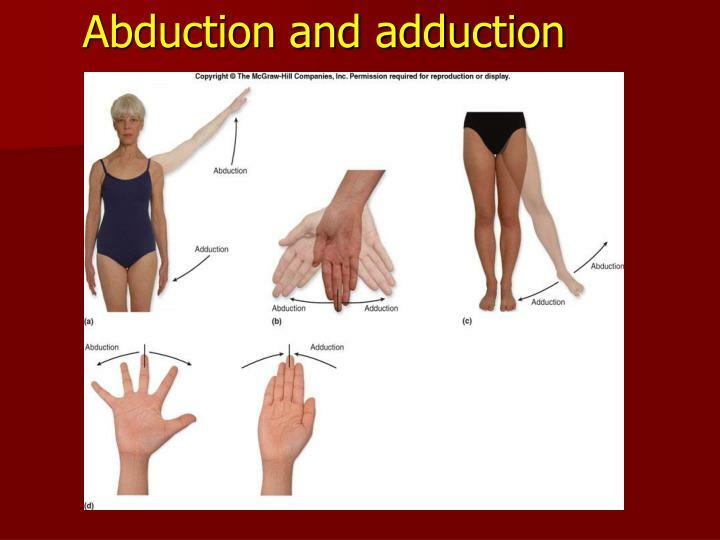 8 -. 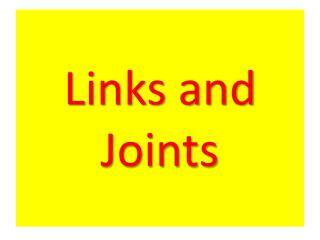 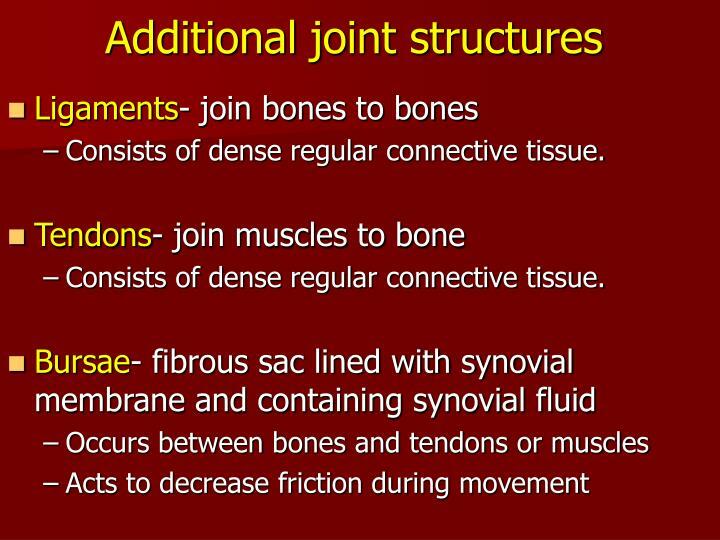 what is one main functions of joints? 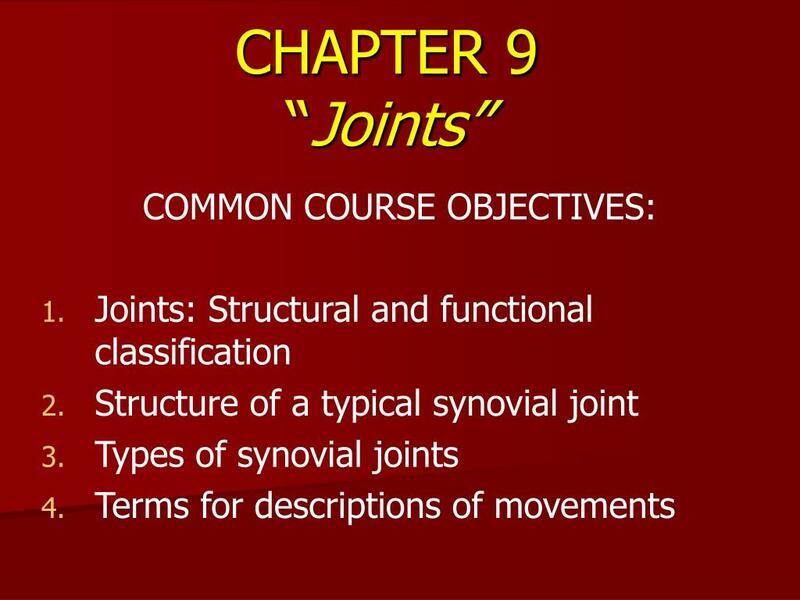 name 2 parts of a synovial joint. 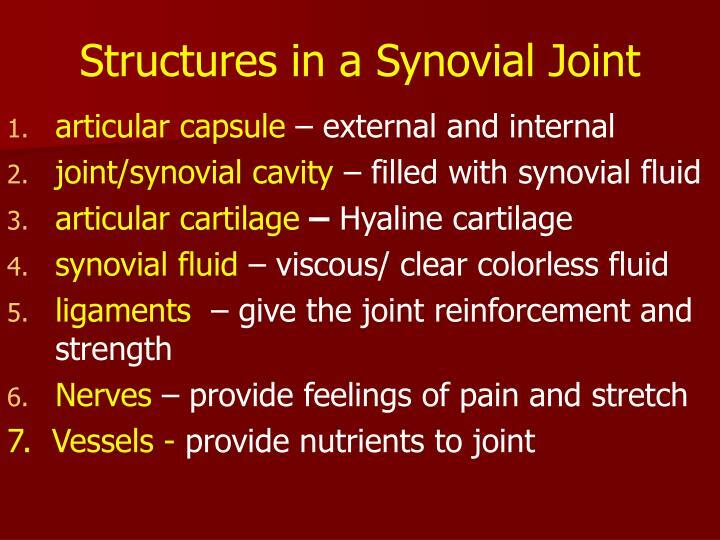 from what part of the joint capsule is synovial fluid secreted? 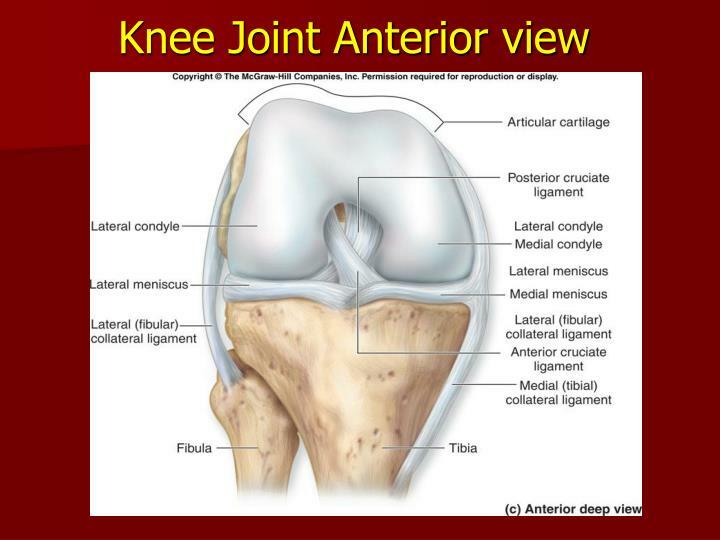 what are menisci? 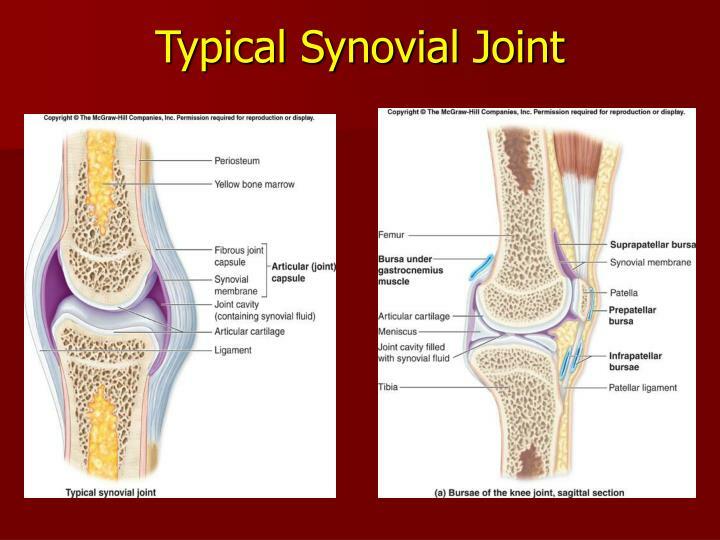 what are two types of synovial joints?. 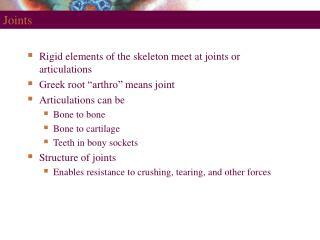 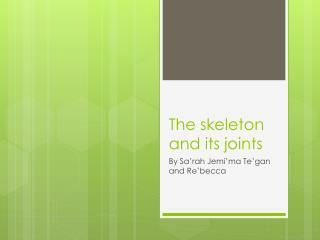 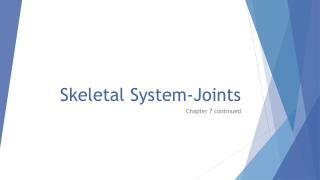 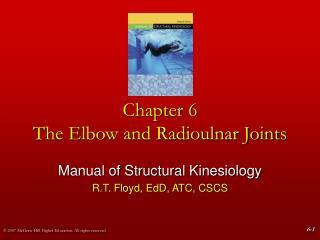 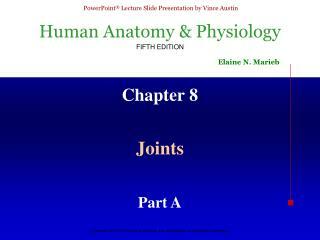 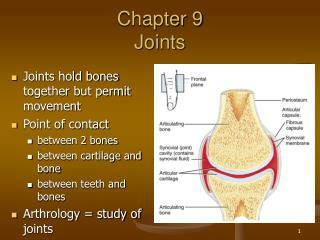 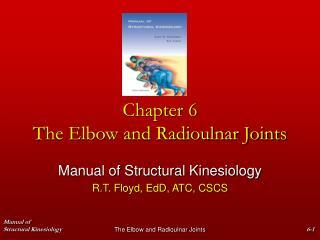 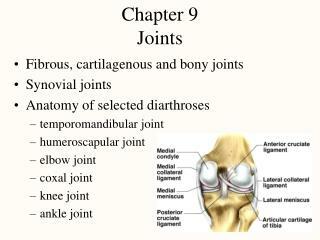 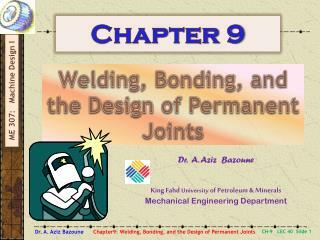 chapter 8: joints of the skeleton. 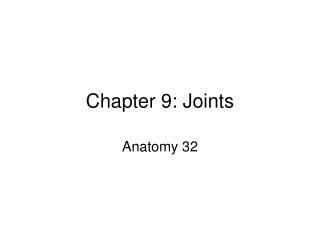 Chapter 9 Joints -. 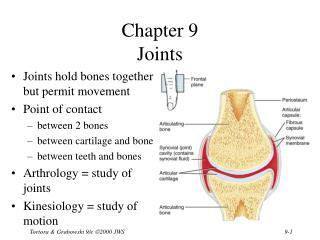 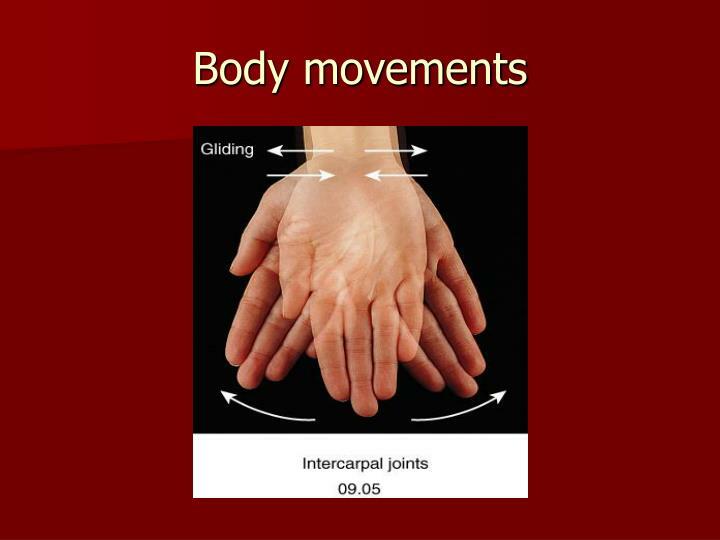 joints hold bones together but permit movement point of contact between 2 bones between cartilage and bone between teeth and bones arthrology = study of joints kinesiology = study of motion. 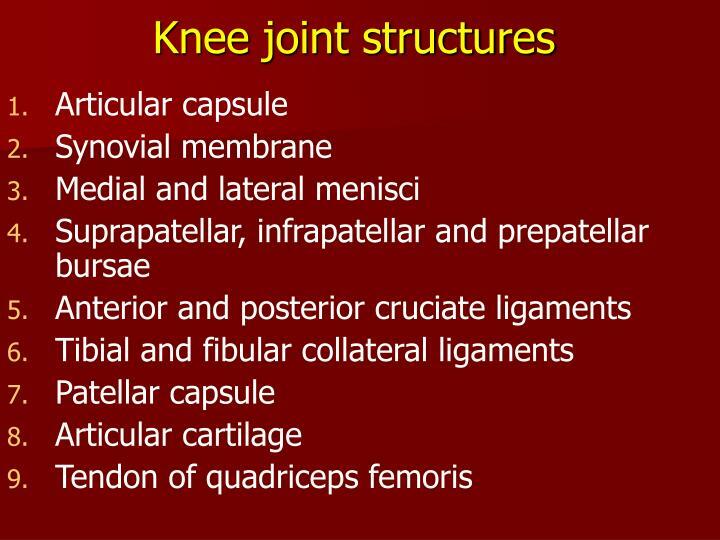 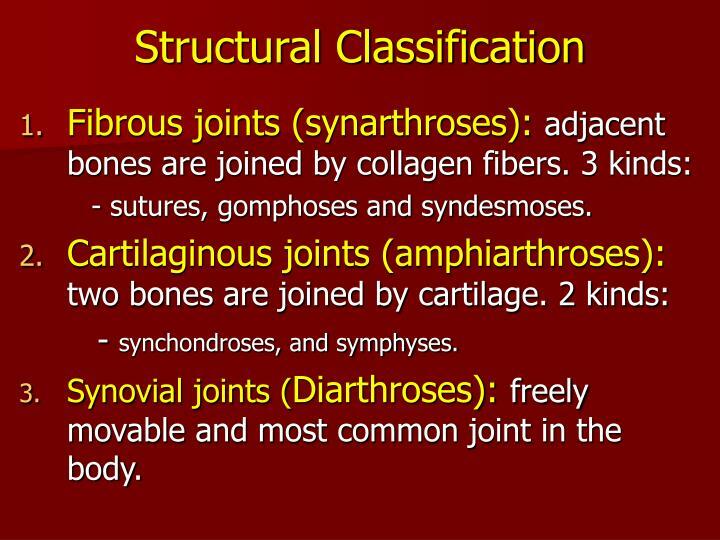 classification of joints	. Chapter 9 Joints -. 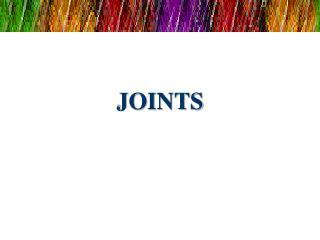 fibrous, cartilagenous and bony joints synovial joints anatomy of selected diarthroses temporomandibular joint humeroscapular joint elbow joint coxal joint knee joint ankle joint. 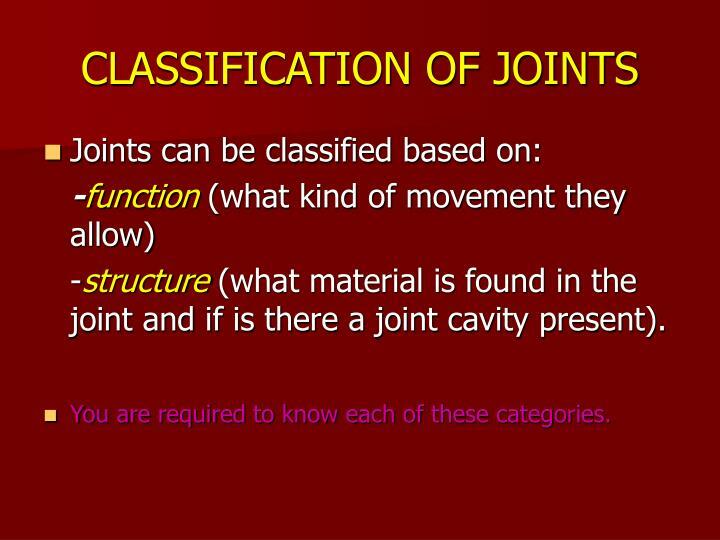 joints and their classification.